الخيار الأفضل للحصول على المتعة والاسترخاء, Hideaway Retreat يقع في منطقة ونتر وورث فال في بلو ماونتيينز. يقع مركز المدينة على بعد 1 km فقط. ويمكن الوصول إلى المطار خلال 90 دقيقة. يوفر الفندق بفضل موقعة الجيد وصولاً سهلاً إلى أهم معالم المدينة.
. يقدم Hideaway Retreat خدمات لا غبار عليها وكل أشكال اللياقة وحسن الضيافة اللازمة لإسعاد ضيوفه. يمكن لضيوف الفندق الاستمتاع بالميزات التالية على أرض الفندق: واي فاي مجاني في جميع الغرف, مدفأة, خدمة سيارات الأجرة, مرافق مخصصة لذوي الاحتياجات الخاصة, تسجيل وصول/خروج سريع . تتضمن كل غرف النزلاء وسائل الراحة والتسلية المصممة خصيصاً لضمان الراحة القصوى للضيوف. يقدم الفندق مجموعة واسعة من وسائل الراحة المتنوعة، كمثل: مسار جولف - ضمن 3 كم, حمام سباحة خارجي, سبا, حديقة, غرفة ألعاب. مهما كانت أسبابك لزيارة بلو ماونتيينز، فإن Hideaway Retreat هو الخيار الأفضل لإقامة مثيرة وممتعة. We stayed over the busy Labour day weekend and really enjoyed how quiet location was! We got upgraded to a king suite which was nice as we were staying a few nights. Would recommend to anyone, looks like a nice place for a wedding too! The hotel was dusty and it looked like they had not cleaned the room in a long time. There were spiderwebs and spiders in the bed. The shower water temperature was hard to regulate and the strength of the water pressure was low. The blue mountains view was lovely and the staff were accommodating. it was a nice place to stay & explore the blue mountains. A quirky little property. Staff were very accommodating with additional heating for our room. Great location! The views from the terasse next to the pool are spectacular. It feels like you are in the bush. The rooms are clean and well equipped - nothing flash. Breakfast is all home made. Only minus: no good coffee. I thoroughly enjoyed my stay. We stayed for 3 nights and had a decent size room. We arrived early due to our flight landing time, and the lady on reception was very friendly and able to find a vacant room for us to move straight into. They are friendly and accommodating for small children although are not able to provide cots so this place may be more suited to kids over 1 year old. Great views down the valley from the hotel and nice breakfasts with home baked bread. A peaceful spot to spend a few days. The entire experience was very professional and the staff were very attentive and laid back. The location was great with views over the valley from most rooms. The rooms were well presented, quiet and comfortable and the breakfast range was adequate and fresh. The town of Wentworth Falls is very quaint and a few good restaurants and a hotel for evening meals were of a high standard and good value. Enjoyment and value for money was very good and my adult children have also spent time at the 'Retreat' with positive comments. I would recommend the 'Retreat' for a quiet and enjoyable time. Peace and quiet, tranquility, comfortable isolation. 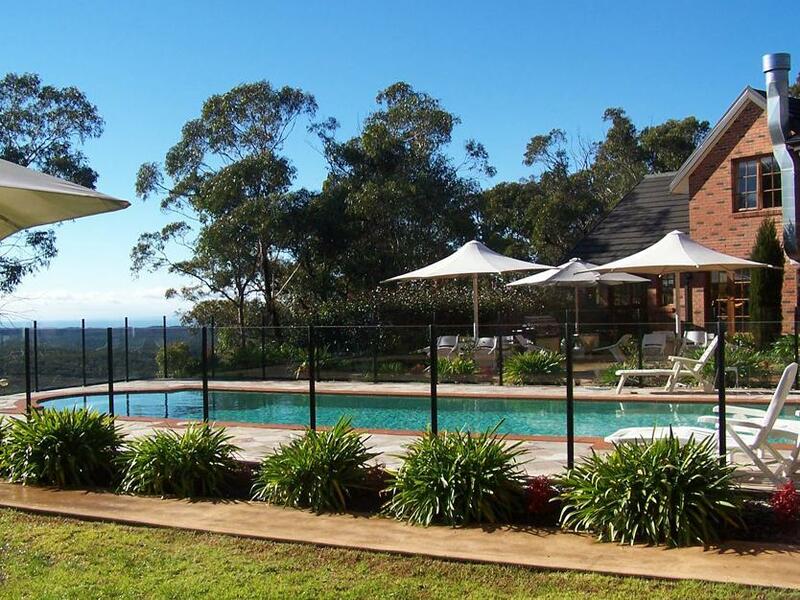 The Hideaway Retreat was a comfortable, friendly, tranquil and relaxing location to spend a last-minute night away at the Blue Mountains. The room was nothing fancy, but was lovely and comfortable with a gorgeous, step-right-out-into-nature view from the French doors. We were left undisturbed by both staff and other guests, and I couldn't have asked for anything more. Value for money isn't the greatest, but I will most definitely be returning. Enjoyed our stay. The hotel has great views and friendly staff. Port & glasses were left near the fire place in the evenings - a great touch! It was a bit of a walk into town, but close if you have a car. Would go there again. The Hideaway Retreat was a beautiful countryside hotel. The inner decor was rather unique, with themes of science, creativity and exploration evident throughout. The staff were very very friendly and always happy to serve. The hotel itself was situated about a 1.5 hour drive from sydney's main city, but is located a block away from wentworth town and a short drive to Leura (10 mins) and Katoomba (15-20 mins). My gf and I really enjoyed our stay and the subsequent visits to all the scenic spots that the blue mountains had to offer. We are definitely considering this as a good getaway spot for our future retreats. relaxing , friendly and quiet.it is hidden away from residentual amoungst the trees with a spectacular pool and view . the staff were friendly and cared about us and that everything was up to standard. Friendly, helpful staff. The lovely clean rooms. The calm and relaxing atmosphere. Our stay was part of a long road trip. If we had not already booked accommodation in other locations we would have stayed longer. The Hideaway is a lovely place to unwind and relax. The whole atmosphere makes you slow down and smell the roses. Wonderful place to stay.